"The school offers pupils an extremely wide range of extra-curricular activities. Pupils are enthusiastic about the many trips, visits and cultural activities organised by the school because it helps them to understand what they are studying in greater depth". There are a vast array of clubs and extra curricular opportunities at Tring School. In Year 7 every child has to join an in school club and they can choose from a huge variety (see list below). Students are also encouraged to participate in out of school clubs because all the evidence shows that when children and young people voluntarily participate in a range of exciting activities, their appetite for learning increases which in turn can lead to better attendance, behaviour and attainment levels. To support and reward an involvement in clubs and extra curricular activities students are encouraged to collect a Club Stamp in their Character Passport, usually from the club leader or their Tutor. This provides valuable evidence of how they are developing their key character skills of determination, communication, curiosity and independence. Date and location of the workshops and sign up sheets can be found outside the Drama Office. We provide a number of opportunities for students wishing to take part in sport outside of the curriculum. We have an excellent sporting reputation both locally and nationally through our extensive extra-curricular programme which focusses on recreational participation as well as competitive performances. We regularly play in national, county and district competitions as well as friendly fixtures and we have strong links with local sports clubs. Tring School boasts excellent sporting facilities which allows us to offer a broad range of activities. These include a gymnasium, a 5 Badminton court sports hall, a 25m swimming pool, an all weather artificial pitch, 3 newly resurfaced netball / tennis courts and extensive grassed playing fields. Tring School also has a very strong and competitive house system which our house games and swimming galas and annual sports day are integral parts. These events give all students the opportunity to take part in sporting activities for their house. The PE department offer a range of recreational and sporting activities which have included the bi-annual ski trip (for years 10 and above) and outdoor adventure days for our Year 7 and 8 students to Willen Lake in Milton Keynes. 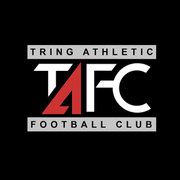 Tring Athletic Football Club welcome footballers of all ages. Berkshire, Buckinghamshire and Oxfordshire Wildlife Trust in association with the National History Museum at Tring and The Wildlife Trusts led assemblies in school to talk about volunteering. 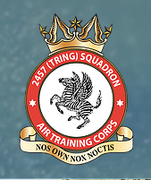 Air Training Corps in Tring for Years 8 and above meet Mondays and Thursdays from 7.15 - 9.30pm in New Road, New Mill, Tring. Army Cadets Tring Branch hold their meetings in Tring School on Wednesdays from 7.00 - 9.00pm. Tring Youth Club meet on Friday evenings and are based in the Temperance Hall on Christchurch Road. For more information please look at their Facebook page. Please look at this Powerpoint Presentation from Support4Dacorum to learning about volunteering and how you can support our local community.